This montage was put together for an article posted here and on LinkedIn which you can read here. The article isn’t actually about authenticity, however, once these clips were assembled, it seemed to serve as a nice snapshot of this new economy, which we embrace and encourage! The guests keep getting better, the audience keeps growing, and we’re only getting started! This montage is just a small sample of the guests we’ve had and the content we’ve discussed. I hope this post serves as a reflection of the new authenticity economy and as inspiration for others to think Bold and Live Life Zealously… In Your Face! (get it? BALLZ In Your Face!). 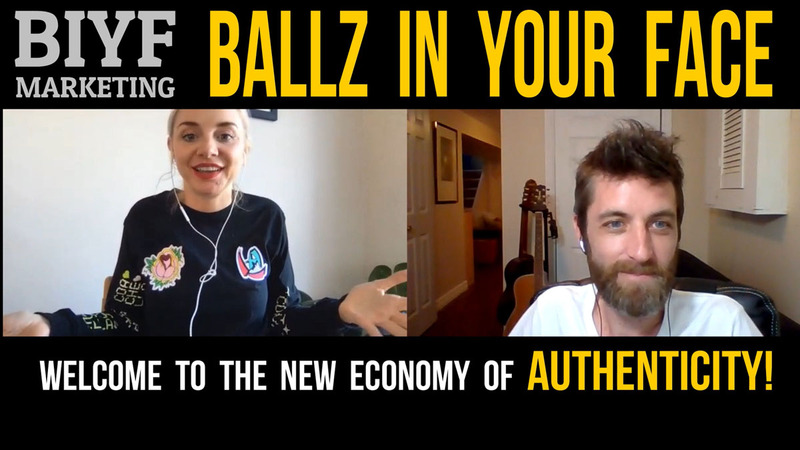 The economy of authenticity is real! We encourage others to follow and speak their unique and independent truths and paths! Keep it real, be kind and be well!